We are only here for a week, but we have already baked, whisked, and toasted enough for a lifetime. 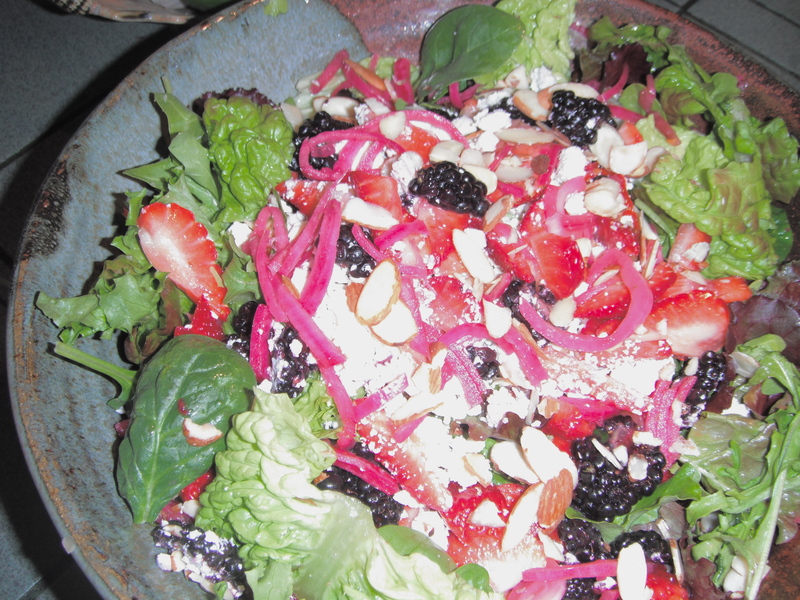 Spinach salad with strawberries, blackberries, mizithra cheese, pickled red onions, and slivered almonds. Steamed asparagus with tarragon mustard hollandaise. 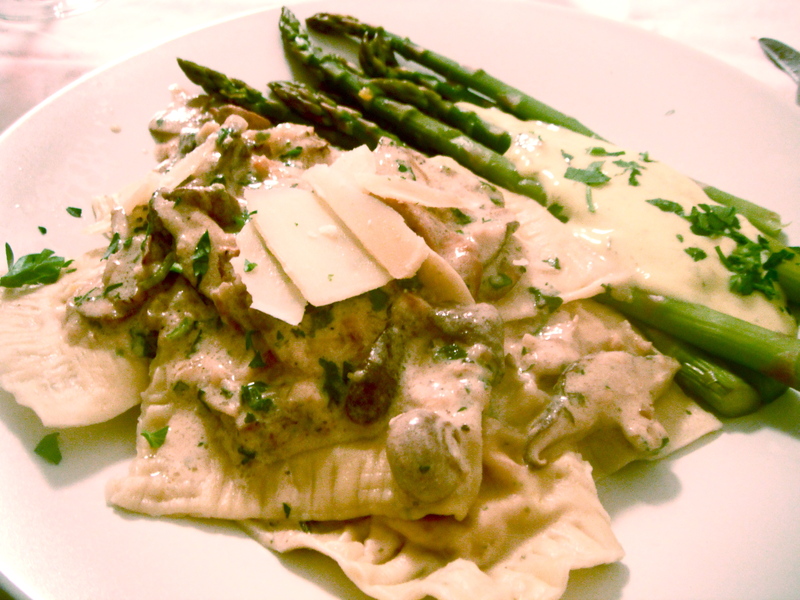 Home-made ravioli stuffed with butternut squash, chevre, and ham, served with the following sauce: shiitake, maitake, criminy, and hedgehog mushrooms, butter, white wine, creme fraiche, parsely, and parmesan. Flourless chocolate torte with candied bacon and pecans. 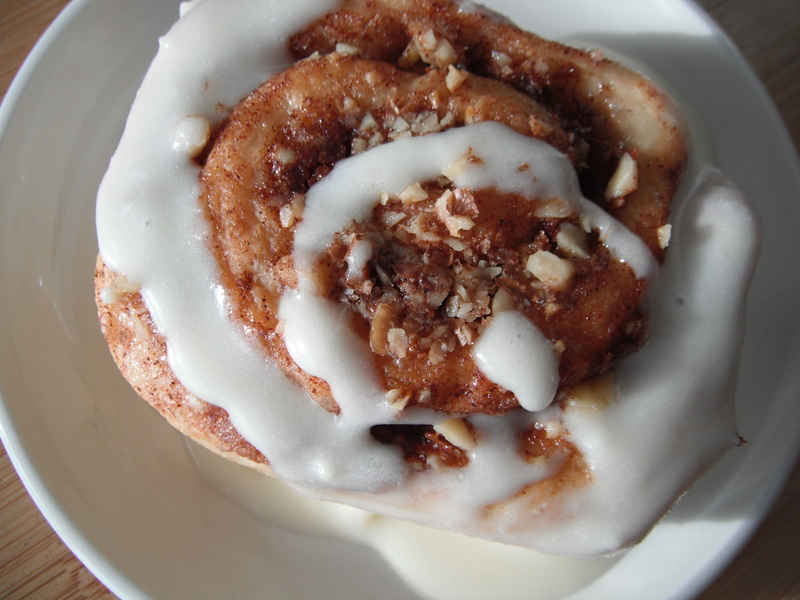 Also shown is a photo of some cinnamon buns that we made a day earlier.